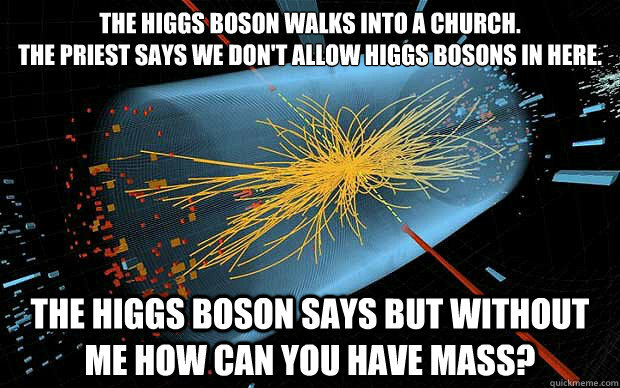 The Higgs Boson walks into a church. 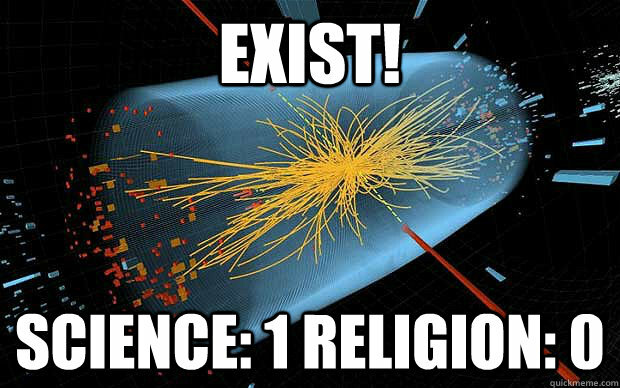 The priest says we don't allow Higgs Bosons in here. 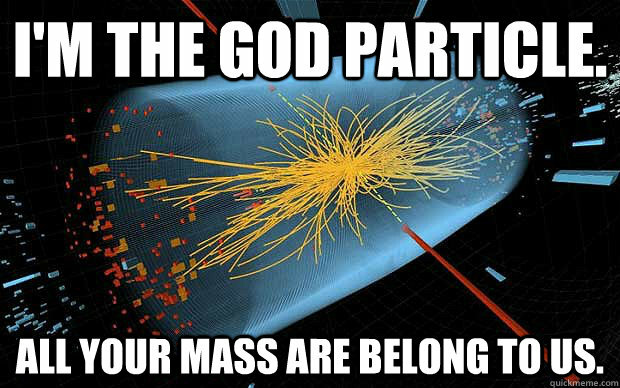 The Higgs Boson says but without me how can you have mass? 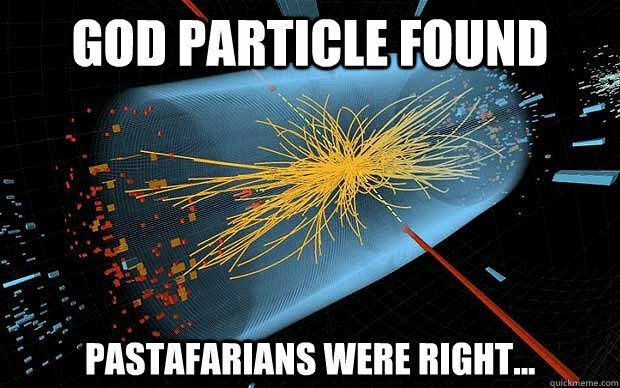 It really is the god particle! Behold! 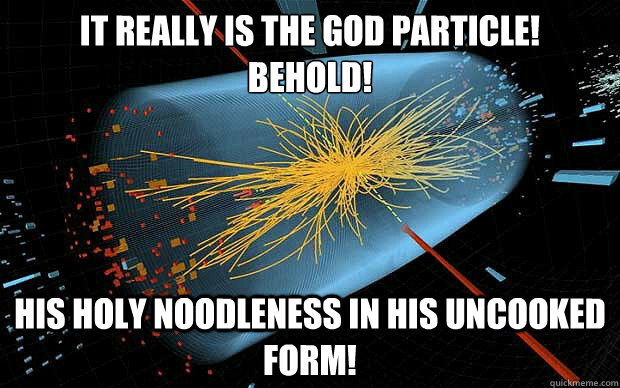 His holy noodleness in his uncooked form! "I refuse to prove that I exist," says God, "for proof denies faith, and without faith I am nothing." 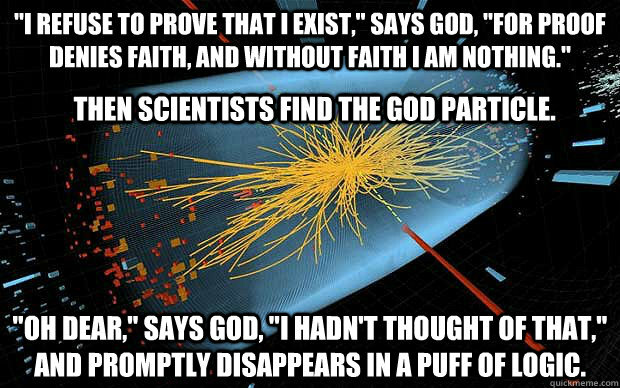 "Oh dear," says God, "I hadn't thought of that," and promptly disappears in a puff of logic. 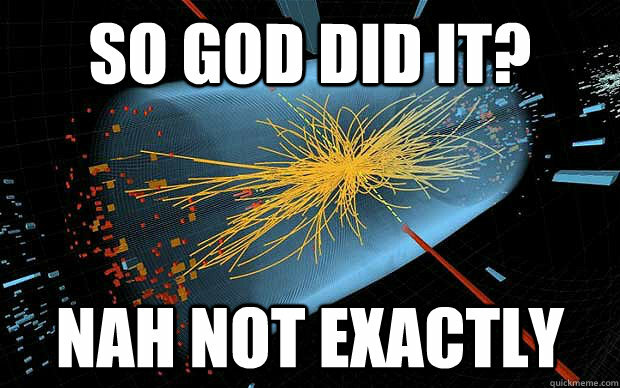 Then scientists find the God particle. 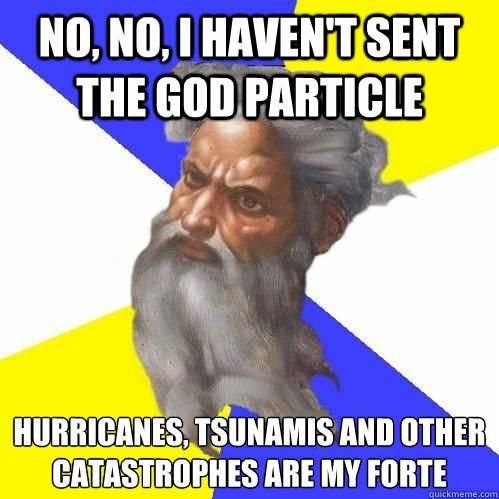 I'M THE GOD PARTICLE. 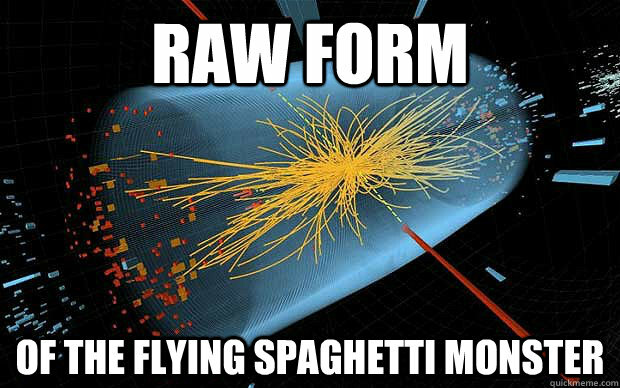 ALL YOUR MASS ARE BELONG TO US.